It seems maybe my songs are almost sung. And yesterday’s old love will not return. My mouth is dry; I have no words to speak. Let me walk a different road and start again. Dancing shoes on a redbrick floor. Dusty boots on a gravel road. I’ve seen them break his bread and sing his praises. I’ve been fooled by what they said as we drank wine. And every time he’s crucified again. Amazing Grace and Let Me Fly Away. To home where that love waits for me some day. 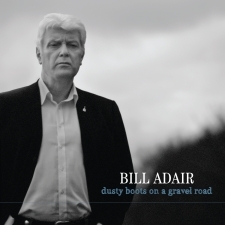 From the album "Dusty Boots on a Gravel Road"